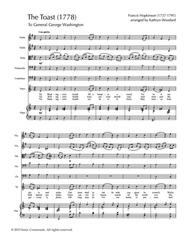 Composed by Francis Hopkinson (1737-1791). Arranged by Kathryn Woodard. Classical Period, Repertoire. Score, Set of Parts. 9 pages. Published by Sonic Crossroads (S0.64055). Francis Hopkinson (1737-1791) was an American statesman and signer of the Declaration of Independence. He also is known as the first American composer of classical music and this is a tribute to General George Washington composed in 1778. 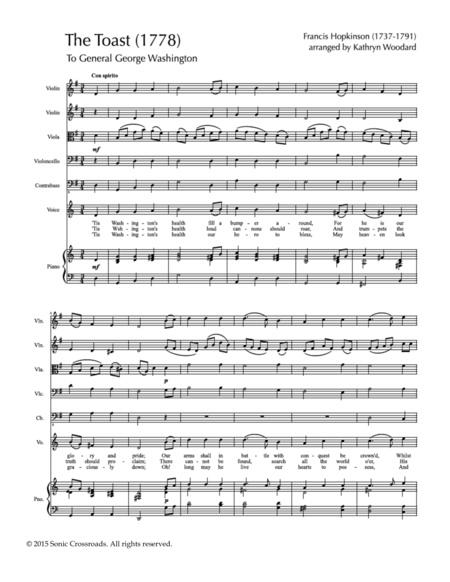 Full score of the arrangement is provided as well as a vocal score and string parts. 9 pp. Learn more about Hopkinson at the publisher's research page, www.soniccrossroads.com/research.